So when it comes to modeling its virtual vehicles’ aerodynamic behavior, it’s not as if iRacing can repair to the nearest wind tunnel. 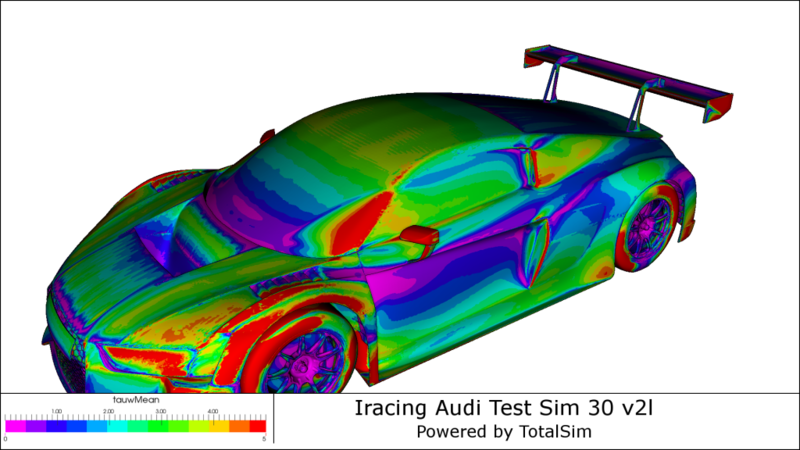 Enter TotalSim, a world leader in computational fluid dynamics (CFD) – the use of numerical analysis and algorithms to analyze the interaction of liquids and gases (air, in the case of race cars) on the boundaries of hard surfaces (race car bodies, wings, wheels, etc). 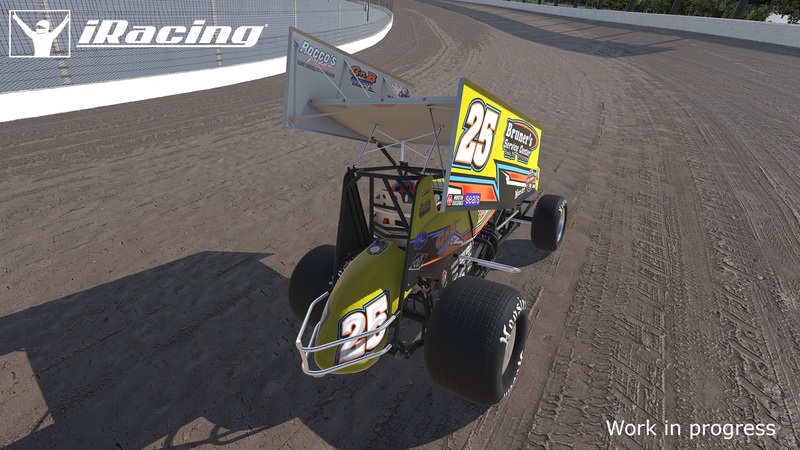 Having partnered with the Ohio-based engineering firm since 2011, iRacing recently renewed its agreement with TotalSim in order to enhance its use of CFD to obtain the most accurate aerodynamic numbers for use in the iRacing vehicle aero model. 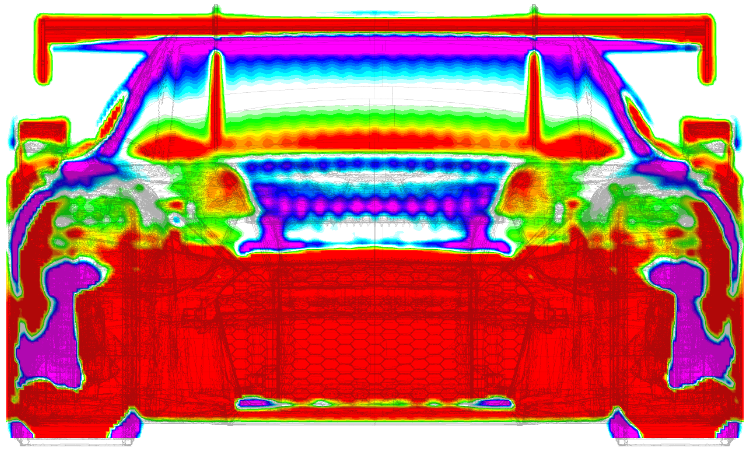 When it comes to generating accurate aerodynamic data, CFD is a perfect fit for iRacing’s meticulously modeled cars. “TotalSim definitely have the know-how in CFD,” says Steve Reis, who joined the iRacing vehicle dynamics program earlier this year. 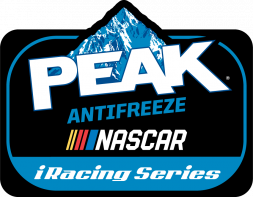 “When I was with Team Penske we worked with TotalSim on our stock car program and enjoyed considerable success. 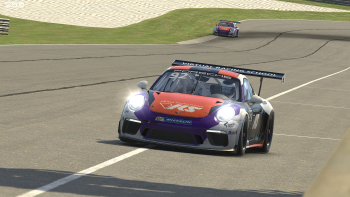 Unique in the consumer racing game/eSport industry, iRacing’s relationship with the cutting-edge aerodynamics firm typifies its commitment to incorporating state-of-the-art physics in its motorsports simulation service. In particular, iRacing’s vehicle dynamicists are pursuing a broader range of applications than are typically investigated by “conventional” race car aerodynamic testing. Again, CFD is well-suited to iRacing’s needs. 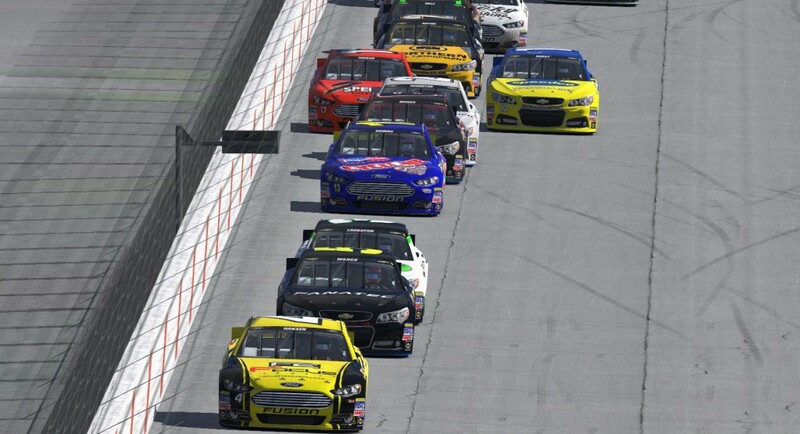 Computational fluid dynamics is crucial to iRacing’s ability to accurately simulate the aerodynamic forces at play in multi-car drafts. That last application is particularly significant given iRacing’s plans to feature dirt track racing at Eldora and Williams Grove Speedways by the end of 2016.
iRacing’s partnership with TotalSim is playing a key role in the development of its digital dirt track cars. 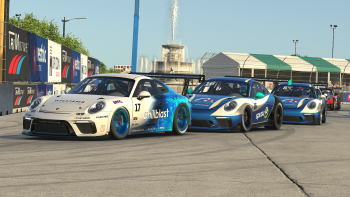 Another important consideration in iRacing’s relationship with TotalSim is the understanding that the partnership is, ultimately, designed to enable iRacing to develop CFD capabilities of its own. Indeed, the relationship with iRacing is particularly relevant to TotalSim’s efforts to design CFD applications for use by a broad cross section of automotive designers. 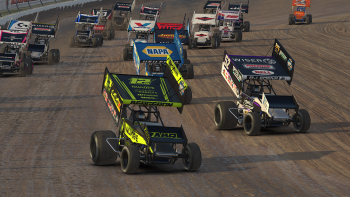 For now, however, iRacing and TotalSim will continue crunching numbers together on CFD programs designed to expand iRacing’s ability to model the aerodynamic properties of existing race cars and enhance what is already the gold standard in sim racing realism.